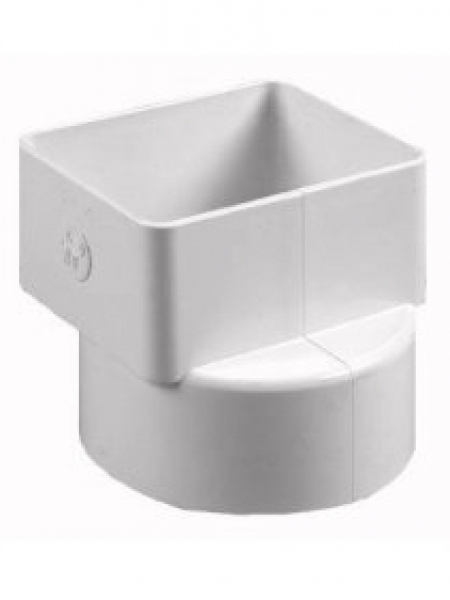 Our Most Popular tile adapter for 3x4 to 4" solid white and green drain tile. To connect a 3x4 downspout into 4" pvc pipe. Approx. 4 1/4" x 3 1/4"
Offset downspout tile adapters are much more common than "flush" adapters because most drain tiles are "offset" from the structure, providing a smooth transition from downspout to drain tile.